FenwayNation—Red Sox, Mookie, J.D., Bogaerts, Sale, JBJ—Founded 1/27/2000—9-Time Champs: It's Almost Thanksgiving. Get Your Act Together. Order The 2019 FN Calendar! It's Almost Thanksgiving. Get Your Act Together. 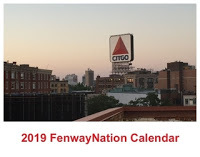 Order The 2019 FN Calendar!